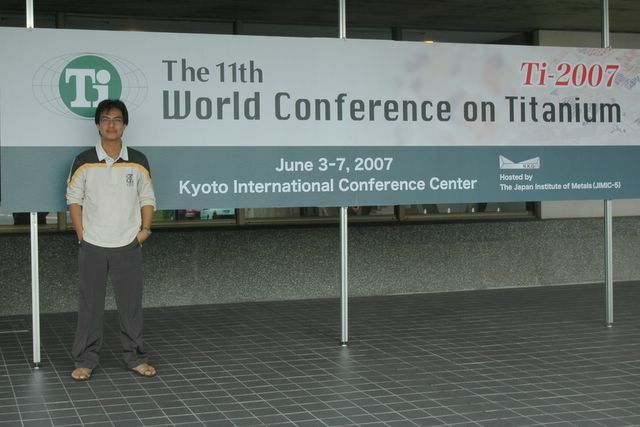 I give an oral presentation at The 11th World Conference on Titanium (3-7 June 2007) at Kyoto International Conference Hall in Kyoto, Japan. The conference is organized by Japan Institute of Metal. Many leading scientists all over the world in the field of titanium metal attend this conference.